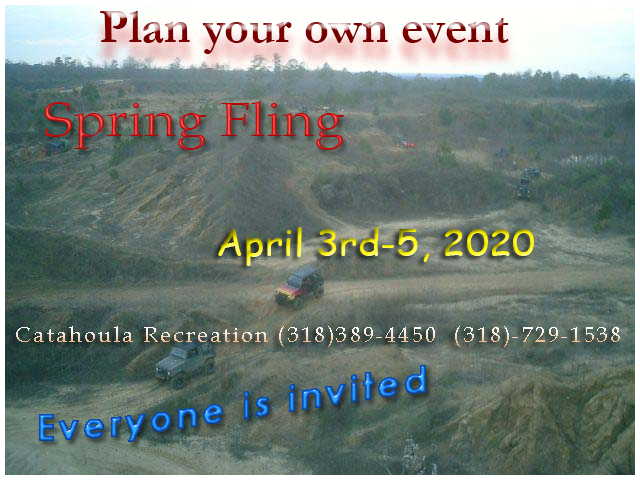 Family Recreation, Great place to ride Side By Sides, Dirt Bikes, Jeeps, Trucks and Camping, Off Road Vehicle, Off Road Trails. Catahoula Recreation is open by appointment only. No appointment needed on event days. 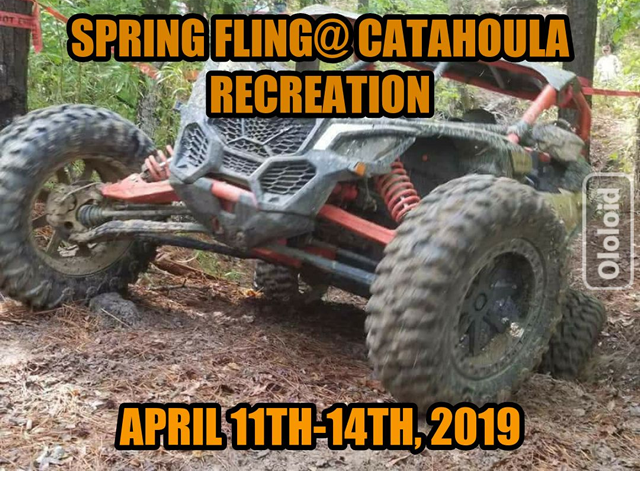 We are sorry, but we can’t no longer support four wheelers atv’s at Catahoula Recreation. We do support Side by Sides, Jeeps, Trucks and Dirt Bikes. $200 per year (twelve months) includes unlimited weekends for one rig, driver, and one rider of your choice. If you have more than one rider they can pay the $10 rider fee. $200 per year one rig (same as above) except unlimited immediate family members. Family members over 18 or friends can pay $10 rider fee. Add $100 for the second rig and $50 for each rig after that. Bring your food and drinks. always call for an appointment before coming -all prices subject to change. At this time two bath room and two showers for everyone to share. Come ride Catahoula Recreation now, print out the Membership Rules to save time at the main gate. For more information please email, call, or mail Dennis. Copyright © Catahoula Recreation. All rights reserved.